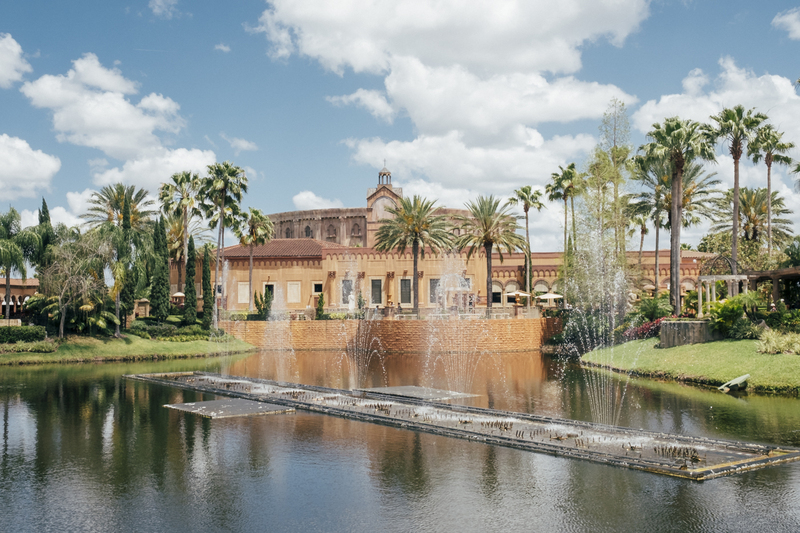 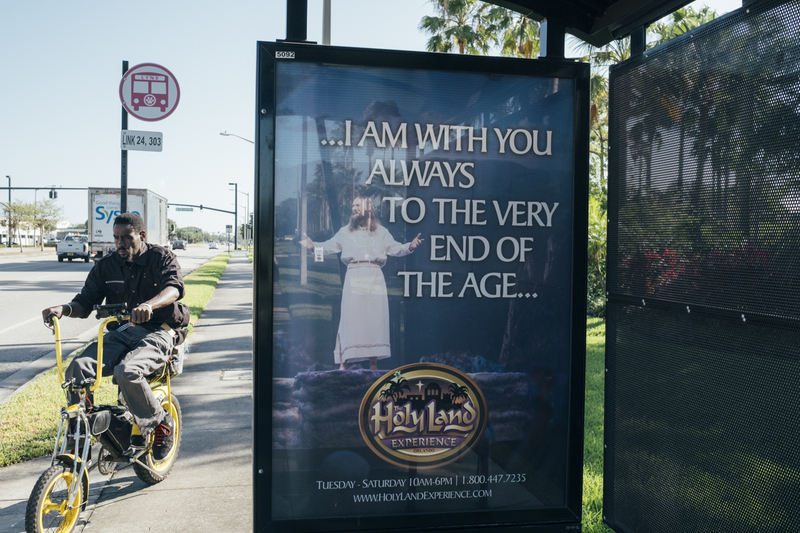 Owned by Trinity Broadcasting Network, this six-acre theme park is a 10-minute drive from the center of Orlando. 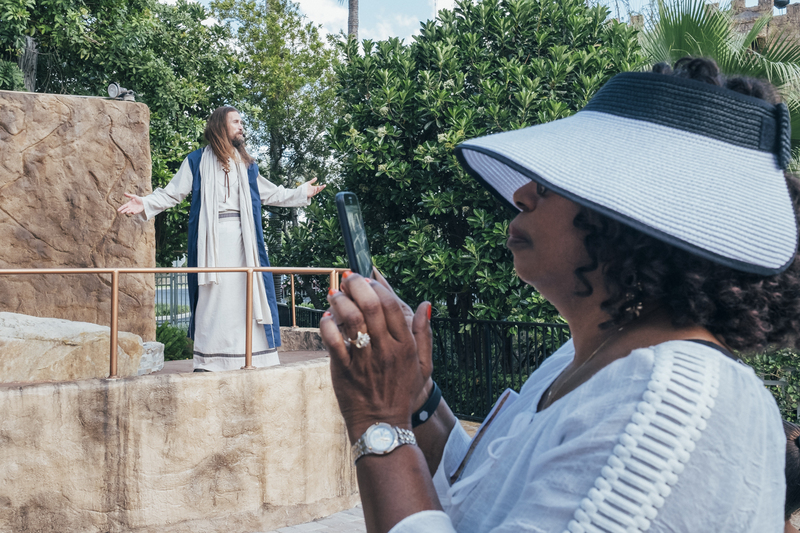 The park has three gardens dedicated to prayer, including a garden re-enactment. 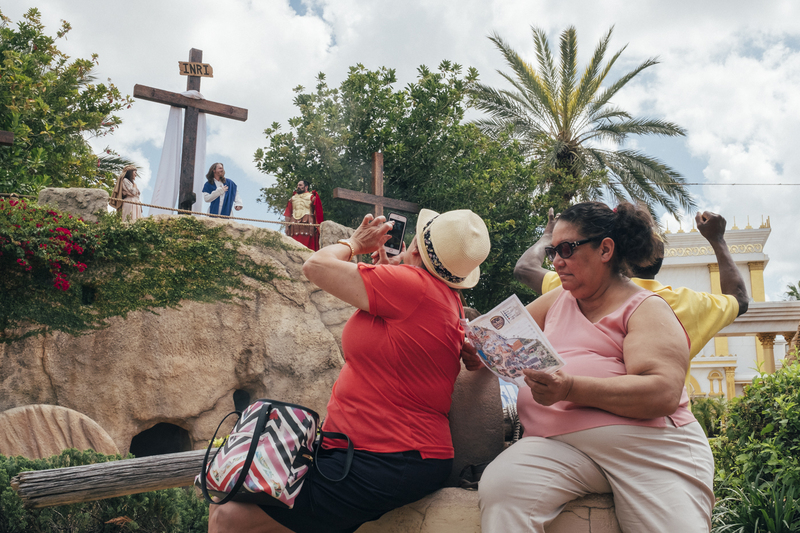 Gethsemane where Jesus gathered to pray the day before his crucifixion. 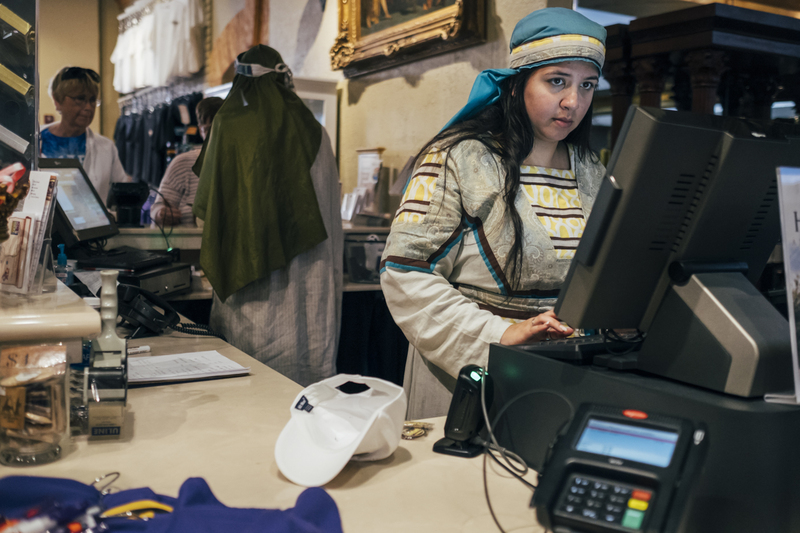 The Holy Land Experience ticket office. 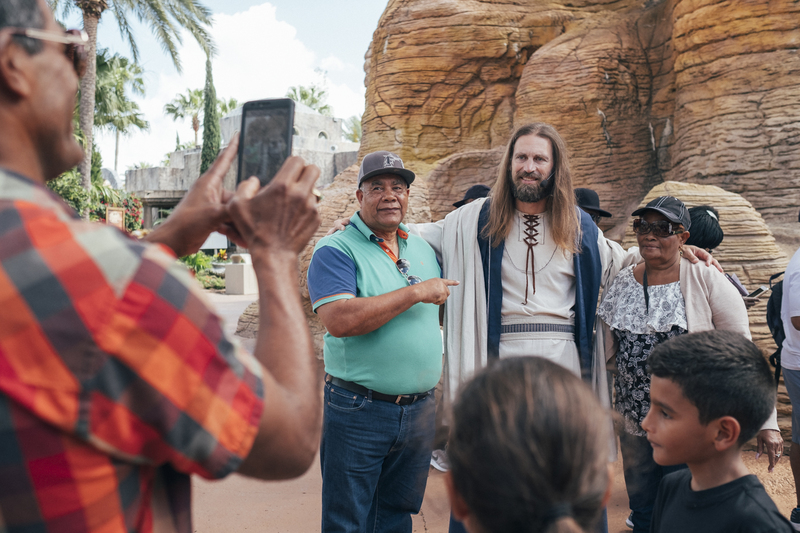 During the rare appearances of Jesus, the star of the park, visitors try to be touched by him, to be blessed. 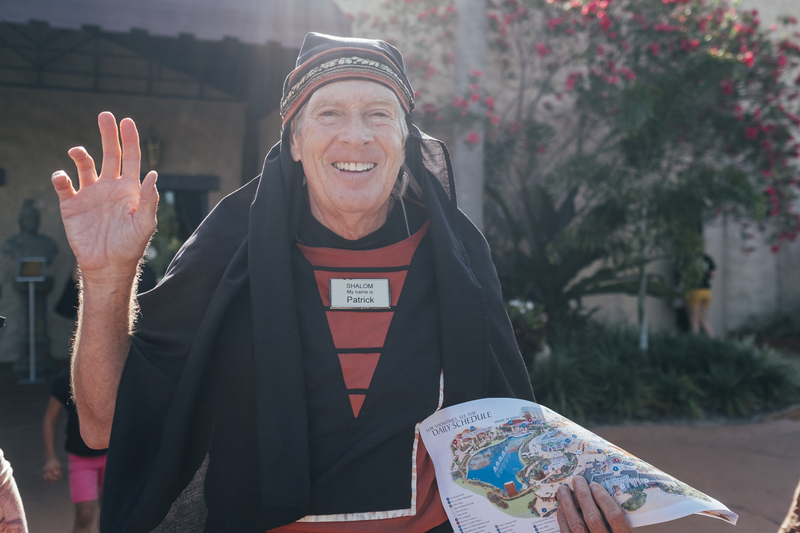 Patrick welcomes you to the entrance of Holy Land by "Shalom" very enthusiastic, while holding out to you the program of the day. 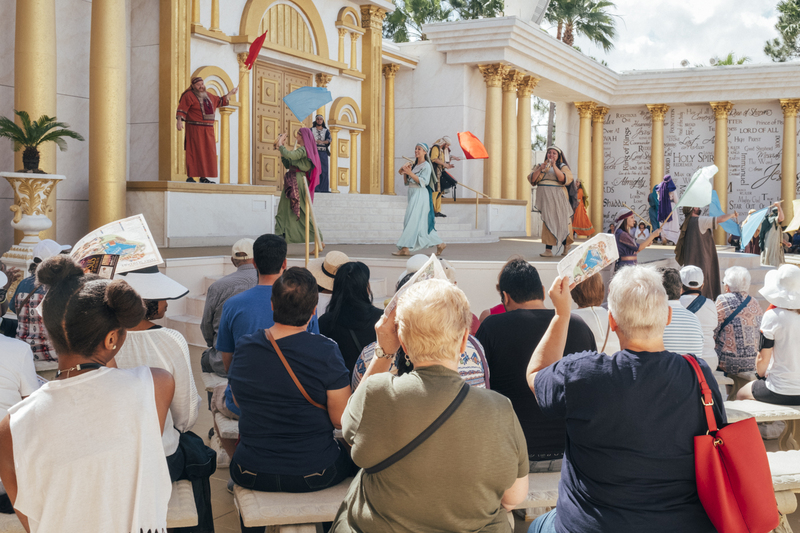 A hundred or so actors interpret scenes such as the Nativity, the coming of John the Baptist, the Passion and the Resurrection in a setting intended to be a miniature replica of Jerusalem in the time of Jesus. 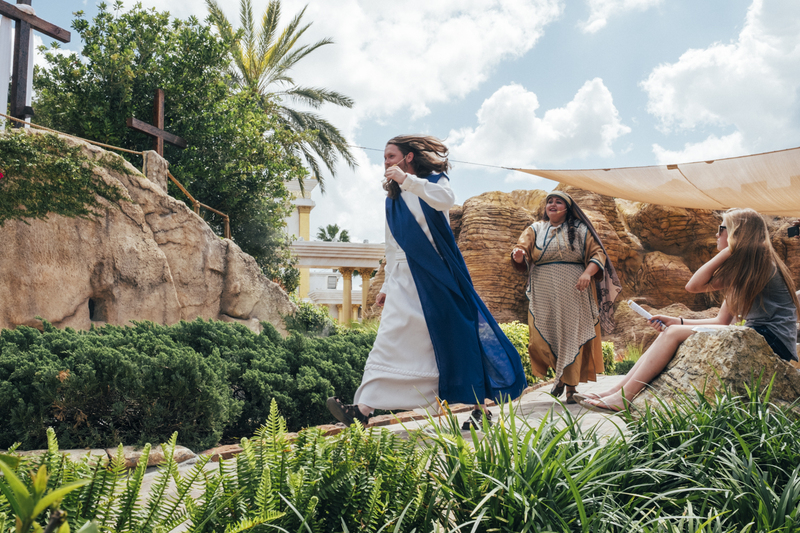 Jesus is the super star of the Holy Land Experience Park. 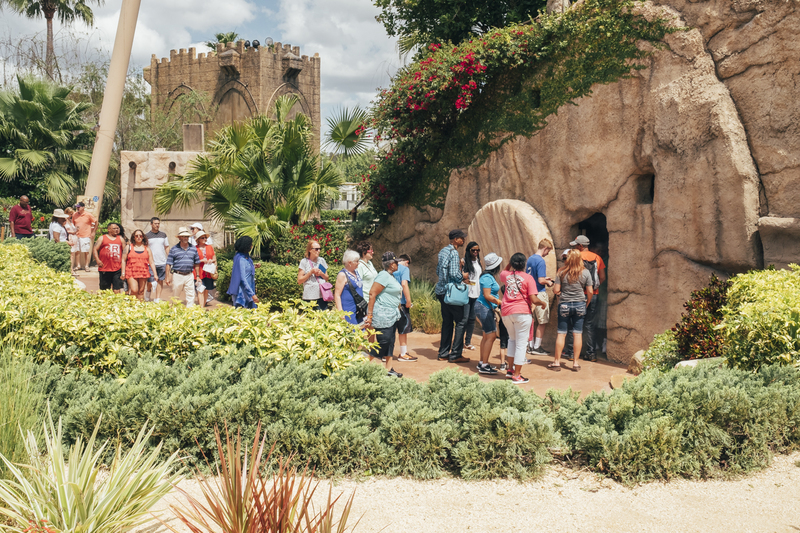 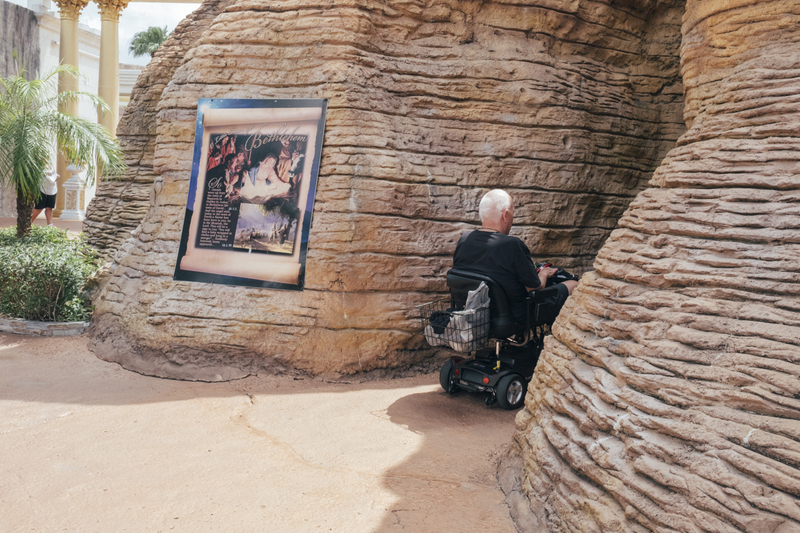 For many visitors, touching the false messiah is a true blessing. 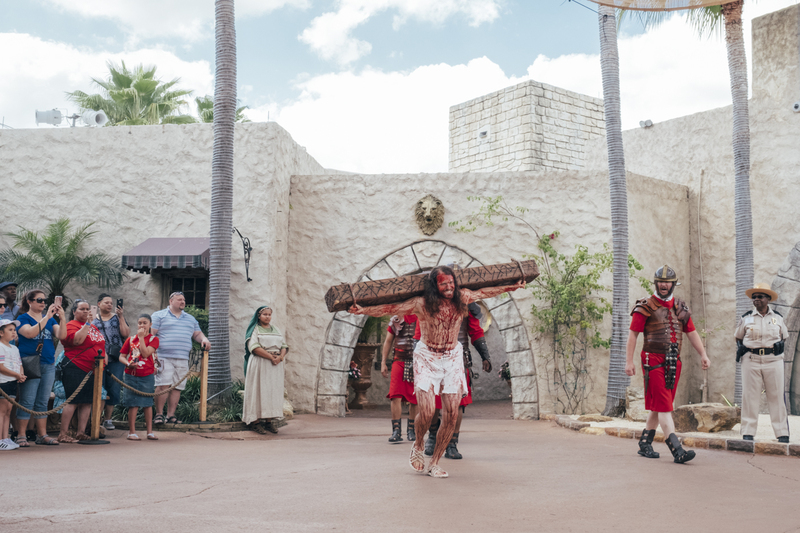 On Jerusalem Street Market you will be able to witness one of the highlights of the visit, a reconstruction of the scene of Jesus carrying the cross to Mount Golgotha, crossing an excited crowd, sometimes shocked but still brandishing a mobile phone. 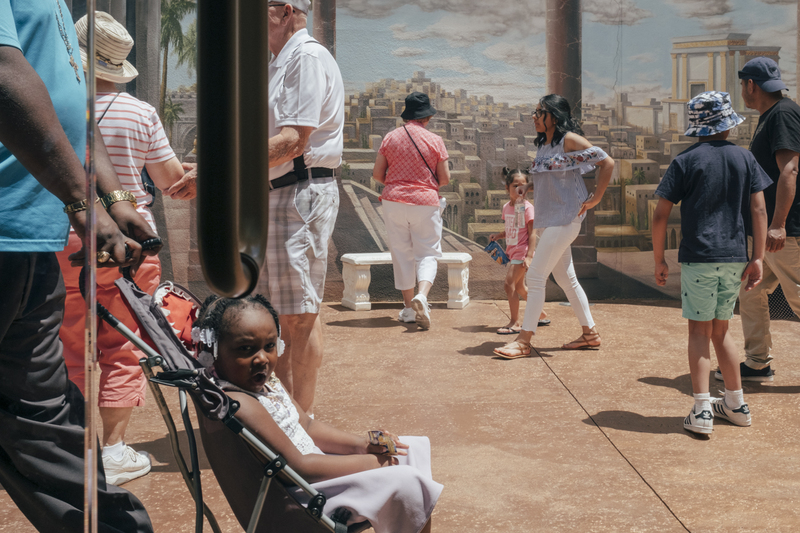 Sanguinolant and violent at will. 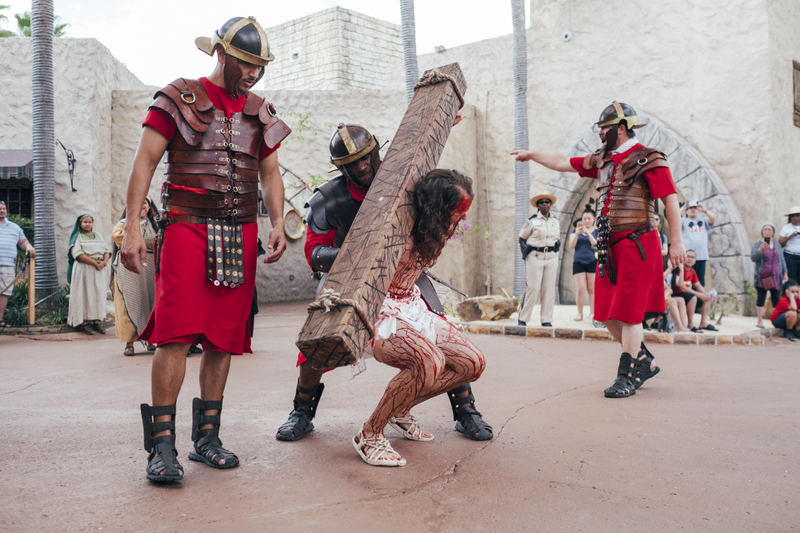 5 times a week, at 4 pm from Tuesday to Saturday, a false Jesus wrings himself with pain on the cross while Roman soldiers whip him. 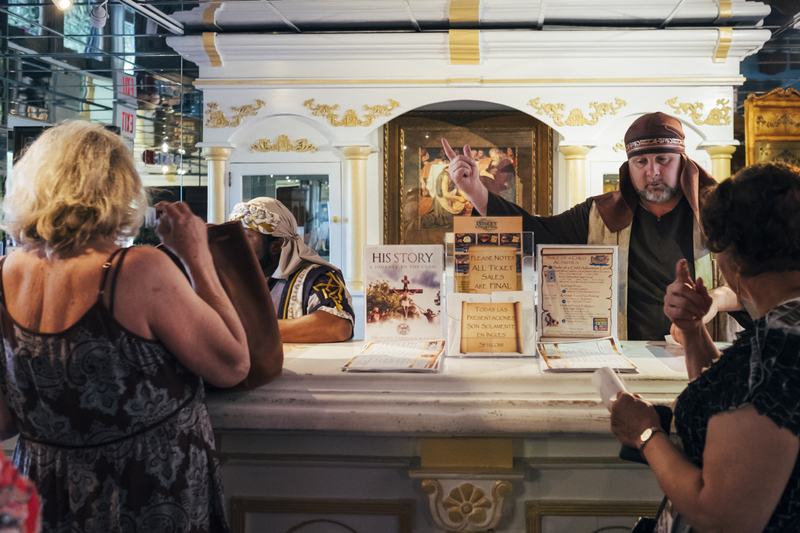 The play that lasts nearly 75 min is the most realistic and violent event of the Holy Land. 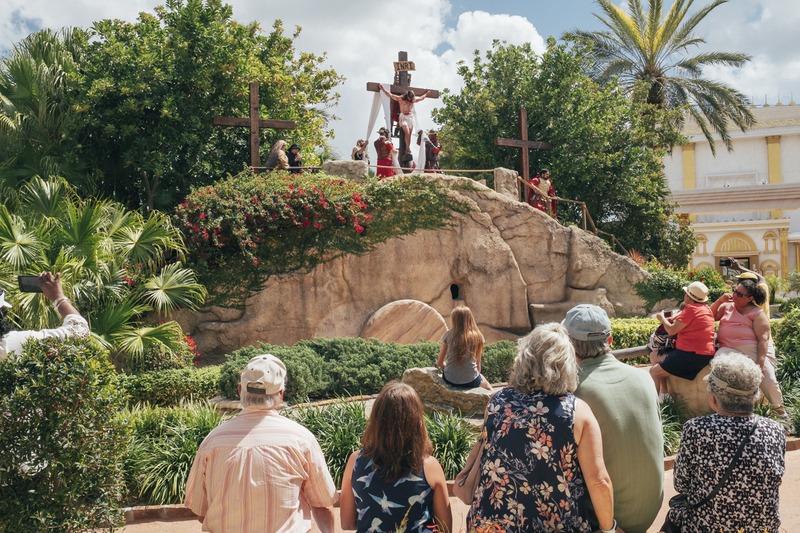 During the crucifixion, the sound of the hammer can be heard very much. 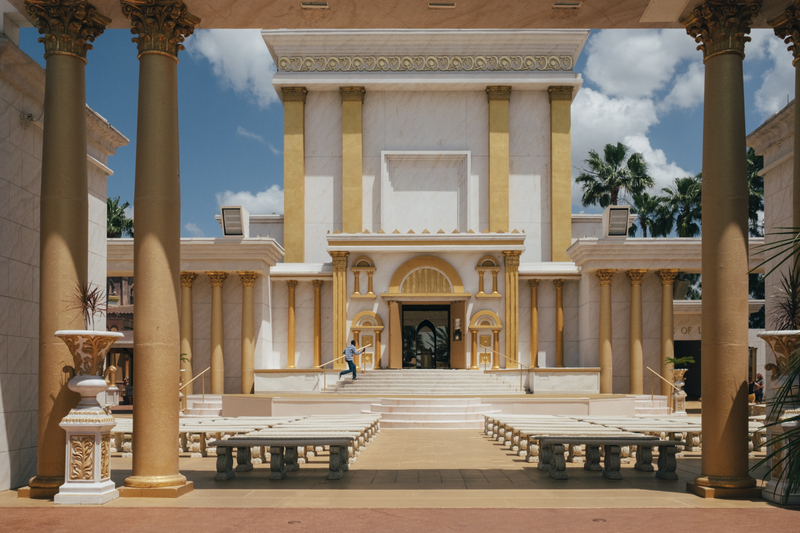 In the public, many visitors raise their arms to heaven, cry and beg forgiveness..
To recover your emotions, straight to the square of the great temple of Jerusalem. 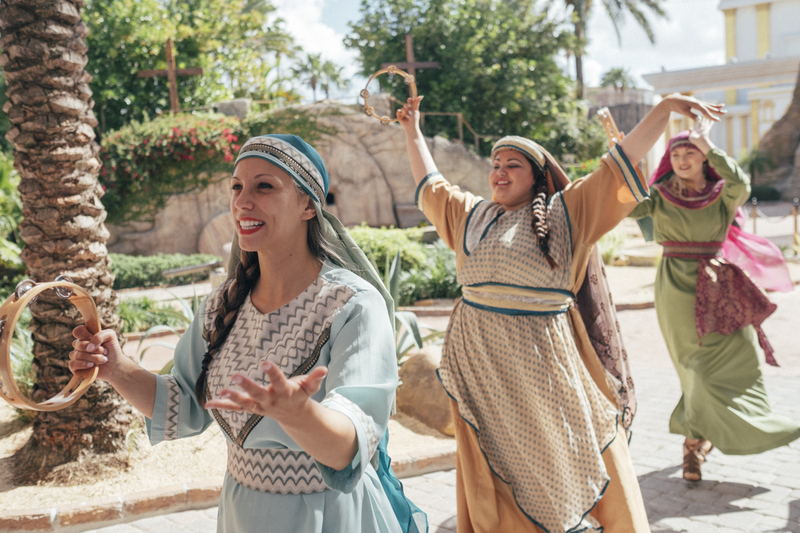 Bouncy and colorful musicals are performed between two moments of prayer. 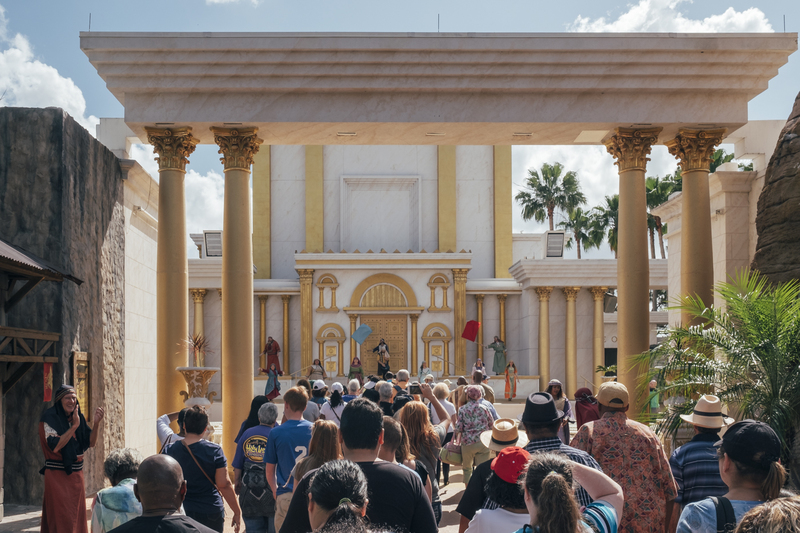 The Great Temple represents the ancient Jewish temple that stood on Mount Moriah. 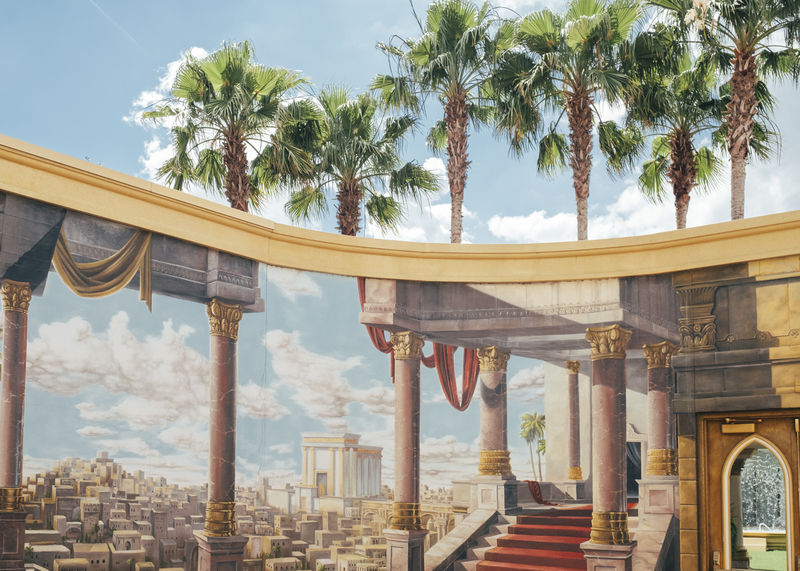 Trompe-l'oeil frescoes plunge you into a far-fetched Jerusalem. 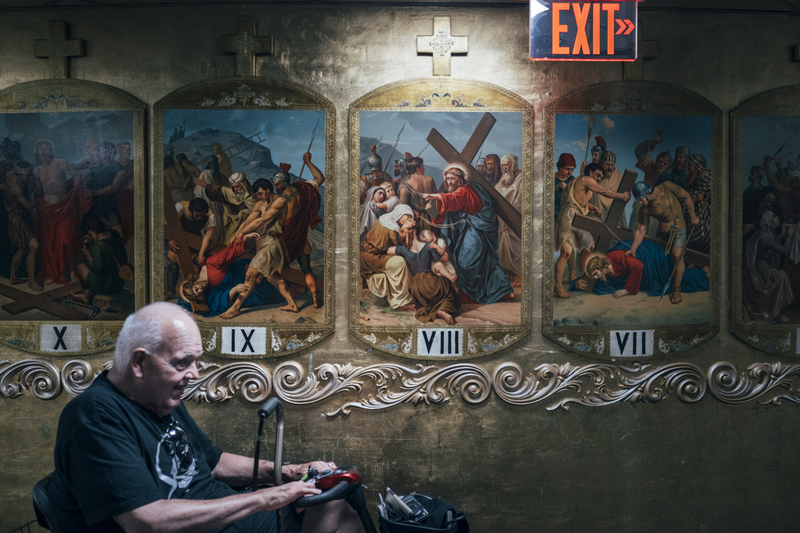 This report is part of « In God we trust »series. 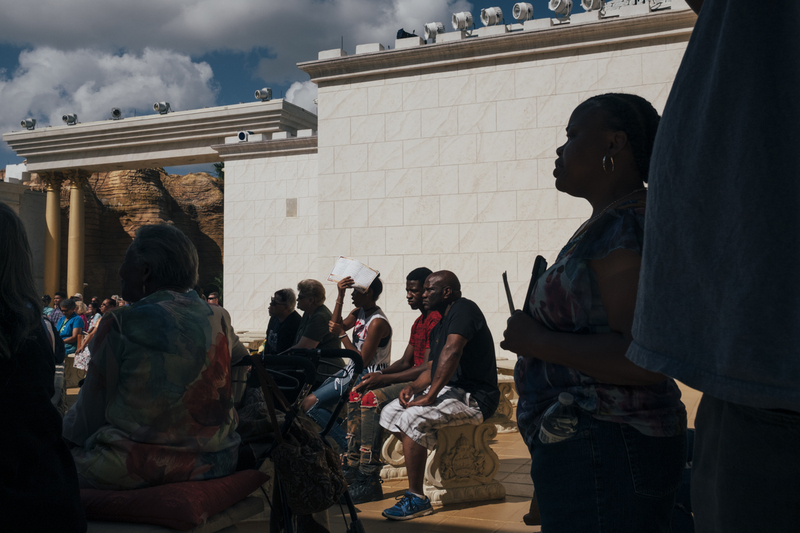 [ In God we trust ] is an exploration of American society through a religious prism. 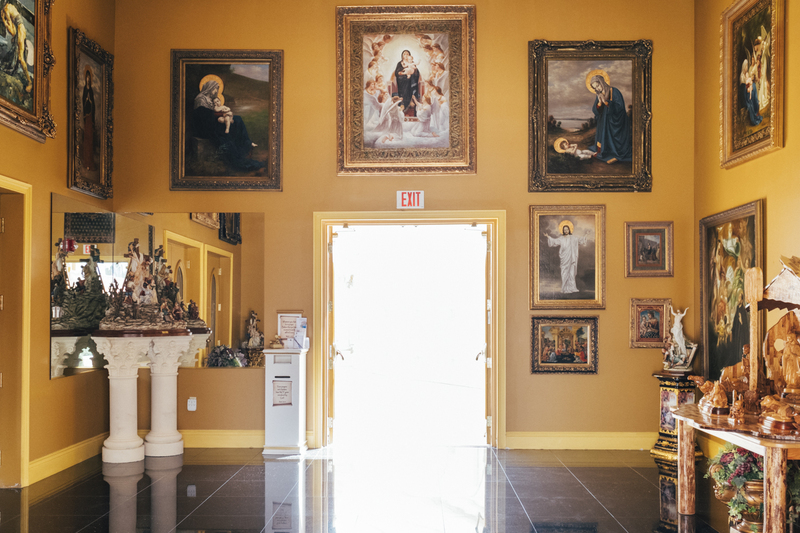 In a particularly gloomy social environment crowned by the election of Donald Trump (who received more than 80% of the white Christian vote), religion is more than ever a relevant marker to better understand the evolution of American society.